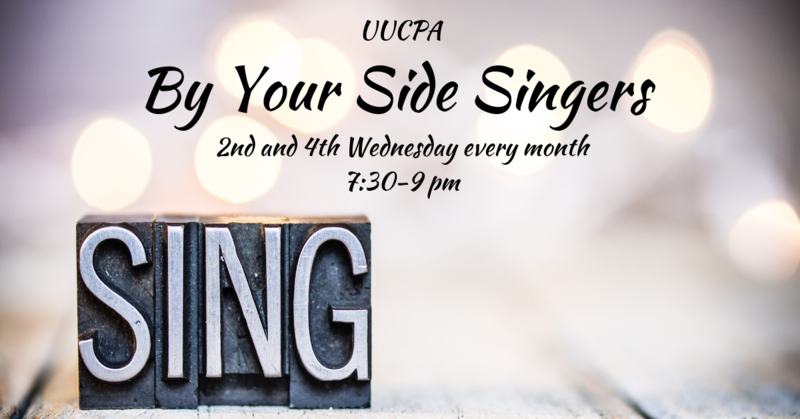 By Your Side Singers is UUCPA’s pastoral care choir, begun in the autumn of 2016. Our singers, in small groups, visit and provide a graceful musical presence for any church member or friend who seeks comfort and strength during times of illness or transition. We also serve the Stevenson House senior community. Our repertoire includes beloved songs from our hymnals and other sources. At our practice sessions, we explore the power of singing to witness and comfort, and we support each other in our own joys and sorrows.